High tenacity polyester has good shrinkage and toughness. It also has good heat resistance performance which is suitable for various industries such as chemical industry, building industry, transporting pipeline, textile industry. 1. Cargo lashing belt made from high tenacity polyester has good wear resistance and high tenacity which is good for tightening operations. 2. Cargo lashing belt made from high tenacity polyester can be offered at an affordable price that can reduce manufacturing cost for cargo lashing belt manufacturers. 3. 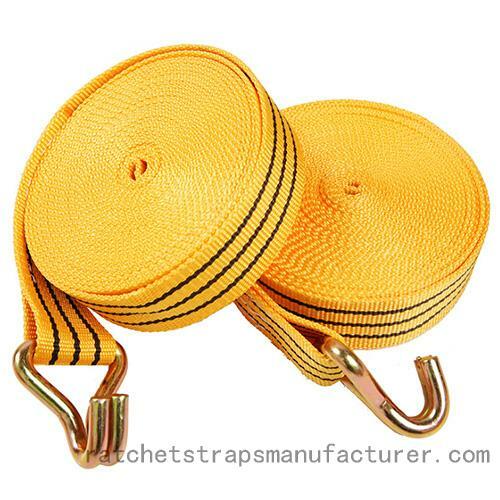 Cargo lashing belt made from high tenacity polyester is environmentally friendly. This kind of material will not do harm to operators' health. It will not cause respiratory disease like glass fiber.